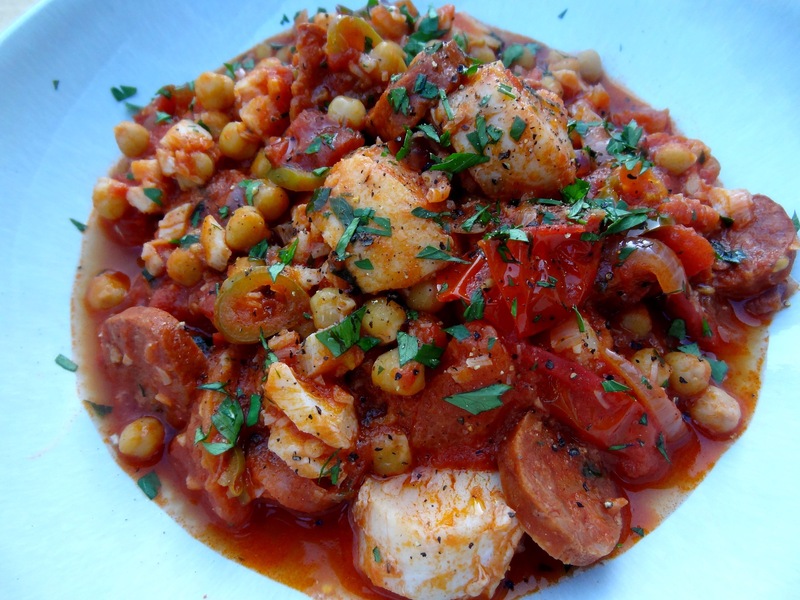 There are certain go-to meals that every household has and in ours it’s Spanish chicken stew. Super easy and quick to make, this one pot dish is a firm favourite of my other half and something I learned from my mum – who isn’t that big on cooking but loves a simple mediterranean style feast that can feed many easily but tastes very impressive. It’s extremely simple to make and is an affordable way of cooking for a large group; I’ve given this to friends at dinner parties and they have always commented on how delicious and flavoursome this dish is. I personally love this with rice or ciabatta bread, and obviously a healthy grating of Parmesan cheese. Sometimes I add black olives for extra saltiness! Please let me know if you have a go at making it and whether or not you’ve added any extras to make it a little bit more special! Fry the chorizo over a low heat until the oil is released. Add the onions and fry for 2–3 minutes until they begin to soften. Stir in the chilli, garlic and basil. Add the chicken and fry until it has started to brown all over. Add tomatoes, chickpeas, 100ml of water, and the stock pot, and bring to the boil. Cook on a low heat for 30 minutes. I like mine with rice or crusty bread.